Getting and sourcing inventory can be fun; storing it, not so much. And counting it and valuing it? Most of us would rather do anything else. But valuing your inventory and keeping track of it is important for online merchants - you need to calculate the Cost of Goods Sold for your Income Statement, and you need to know the value of your inventory for your Balance Sheet. It's not as complicated as it sounds, though, once you know the correct method and tools to use. 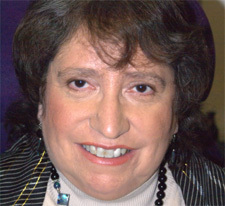 Today, Bookkeeping for Dummies author Lita Epstein comes to our aid to demystify this business task, and well before tax time. Read on and get her tips for what's critical to do, and what mistakes to avoid. There are several methods business owners can use to value their inventory. Below is a summary, excerpted from Epstein's article, How to Manage Business Inventory and Its Value. (But don't panic; as Epstein explains later, one of two of these methods are most likely the best ones for you to use as an online seller, depending on what you sell). LIFO (Last In, First Out): You assume that the last items put on the shelves (the newest items) are the first items to be sold. Retail stores that sell non-perishable items, such as tools, are likely to use this type of system. For example, when a hardware store gets new hammers, workers probably don't unload what's on the shelves and put the newest items in the back. Instead, the new tools are just put in the front, so they're likely to be sold first. FIFO (First In, First Out): You assume that the first items put on the shelves (the oldest items) are sold first. Stores that sell perishable goods, such as food stores, use this inventory valuation method most often. Averaging: You average the cost of goods received, so there's no reason to worry about which items are sold first or last. This method of inventory is used most often in any retail or services environment where prices are constantly fluctuating and the business owner finds that an average cost works best for managing his Cost of Goods Sold. Specific Identification: You maintain cost figures for each inventory item individually. Retail outlets that sell big-ticket items, such as cars, which often have a different set of extras on each item, use this type of inventory valuation method. LCM (Lower of Cost or Market): You set inventory value based on whichever is lower: the amount you paid originally for the inventory item (its cost), or the current market value of the item. Companies that deal in precious metals, commodities, or publicly traded securities often use this method because the prices of their products can fluctuate wildly, sometimes daily. What Valuation Methods Work Best for Online Sellers? So, what type of valuation method does Epstein think would work best for most online sellers? "Averaging is definitely the simplest method to use," explained Epstein. "Its biggest advantage is that it smooths out the ups and down of purchasing inventory if the marketplace is one that goes up and down throughout the year." She also cautions, "For a new business, I would recommend staying away from LIFO, since there is a push legislatively to ban that form of inventory valuation, and changing to another valuation method could require major work restating past financial reports." She says LIFO is already banned in every major industrial nation other than the US. FIFO can also be a good alternative, "but it does require more precise record keeping, so I would still recommend averaging to keep bookkeeping simpler," she says. What if you are dealing with a range of product that are each unique, and can vary widely in price? Epstein explains, "For this type of business, specific identification would be the best inventory valuation method to use." She gives the example of "the online seller who is dealing with technology or other high-end product where almost every item sold is unique, such as built to order computers." However, she cautions that "when setting up the books, it is always good to review your business plans with an accountant and confirm you are setting up the books in the best way for the type of business you plan to run." What inventory tracking method does Epstein recommend? Does anyone use paper ledger books anymore? "I'm sure there are some people out there who still keep paper ledgers, but a basic accounting software package, such as QuickBooks, is much better and reduces the possibility of error," explains Epstein. One of the primary advantages of computer based accounting is that the financial transaction and related information only needs to be entered one time, and all the affected accounts will be automatically updated with the entry. This is as opposed to doing accounting on paper, where transactions need to be entered multiple times depending on how many accounts are impacted, she says. "Then as the information is summarized at the end of an accounting period, mathematical errors of addition and subtraction can be added to potential problems." Another problem is "as information is transferred on paper from the individual accounts to the general ledger summaries, entry errors can be made." But with a computerized accounting system, "any additions, subtractions or multiplications are all done for you by the software. As long as the original entry is correct, all calculations using that entry will be right." What documents associated with inventory do sellers need to save? Paper receipts, credit card receipts, or both? And what do you do about items you may buy at a yard sale, for example, where receipts are not usually given; is a handwritten list of the items and their cost good enough? "It's a good idea to keep any proof of purchase for inventory," says Epstein. "If there is a question about the bill after it's been paid, you will have the detail you need. Also if the IRS questions the numbers on your tax return, you will have the proof needed to justify your costs and expenses." If the merchandise you sell was purchased at a yard sale, she advises you make a detailed list of what was purchased and what was paid, along with the date purchased and the location at which it was purchased. "As long as you do this regularly and have a good paper trail for the IRS, there shouldn't be any difficulty if you get audited," she says. What are the biggest mistakes businesses (of any type, online or off) make with managing inventory? "Not having a good inventory control policy is probably the biggest mistake." "Inventory shrinkage from breakage or theft is the biggest problem for most retailers." Inventory is like cash sitting around, she explains, "So you need to think about ways to protect that cash from being used inappropriately." She advises that you be sure you put a strong system of controls for inventory coming into and going out of your business. Similarly, "Holding on to inventory is a cost most sellers forget to consider," says Epstein. "Inventory that sits around and doesn't sell is taking up space that can be used by items that might move more quickly and earn the company more money." If a seller has inventory that sits around for several months, reducing the price is certainly one option to get rid of the item. "Another option may be to offer the item for free as long the as buyer also purchases something else," she suggests. What do sellers need to do around the end of the year re: inventory to get ready for their taxes due for that year? "All businesses must do a physical count of inventory at least once a year," explains Epstein. Many businesses do it more frequently as a part of their inventory control system to make sure that what is on the shelves matches what is in the computer inventory system, she added. "A periodic inventory count enables you to track inventory shrinkage. If the problem increases with each count, you need to consider the possibility that someone on staff is either taking the inventory or mishandling the inventory causing breakage." You need to investigate further when you see inventory shrinkage, she counsels. "The sooner you find the problem, the less of impact it will have on your business's profits." At the end of year you need to have an accurate of the inventory on hand, so you can calculate what was sold and match that to the inventory information calculated by your computer system, she says. For sellers who store inventory in their own home (or maybe a small rented storage space), Epstein has some organization tips. "I store my book inventory in the garage," she says. She cautions that you should make sure whatever storage containers you are using protect the viability of the product you're storing, especially if you store your inventory in a rented space that does not have climate controls. Also, "remember that if you are using a space to store inventory in your home, that space can be written off as a business deduction on your taxes." 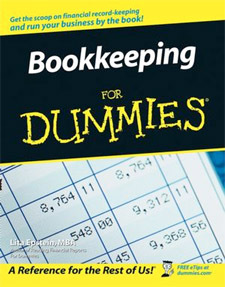 Besides "Bookkeeping for Dummies," what resources might Epstein recommend to help small sellers who have no formal business training to learn how to effectively manage inventory? A good book to read on inventory management is Essentials of Inventory Management by Max Muller, she says. "It delves not only into the basic accounting methods we've discussed but also looks at key managerial decisions that need to be made when managing inventory."